As the time of year changes into Fall, I start thinking about soups and stews. My crock pot is something that I get out and start using again. Typically, in the summer time I do not use it as often since it is so hot outside. 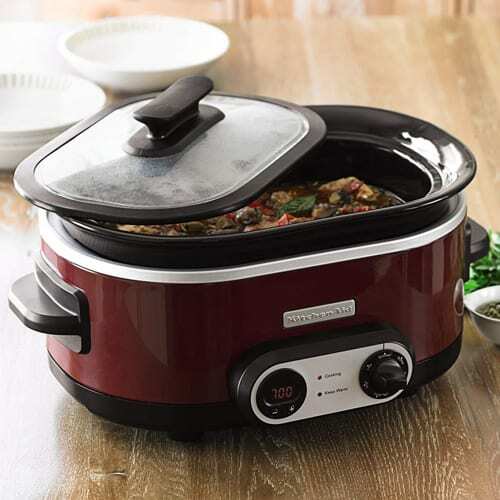 If you are in need of a crock pot, the KSC700 slow cooker from KitchenAid has all the features necessary to prepare a meal. My favorite feature is that it is dishwasher safe though usually these pots are very easy to clean. It has a timer with automatic shut-off or it can switch over to a warming mode. There is nothing like starting the week on a Monday and coming home to a kitchen full of aroma and knowing the fact that your meal is prepared! KSC700 comes in cinnamon, black, and stainless steel and retails for $129.